The reviews are in, and Gretchen is a hit with critics! 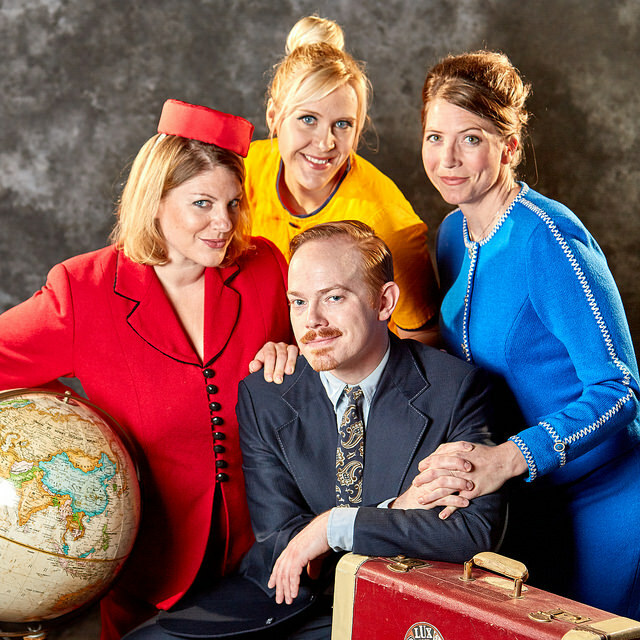 Boeing Boeing plays through May 1 at Ross Valley Players. I’m pleased to announce that I am reprising my role as Gretchen in Boeing Boeing. The experience has been fascinating, and I’ve tried to focus on discovering the new in my role. The production runs April 1 through May 1, 2016 at Ross Valley Players in Ross, CA. I was so lucky to have been cast in these Comcast Spotlight commercials produced by Atomic Productions. Lori Laube at AE Casting is such a wonderful advocate for Bay Area talent, and the crew at Atomic Productions was gracious, professional, and so supportive. 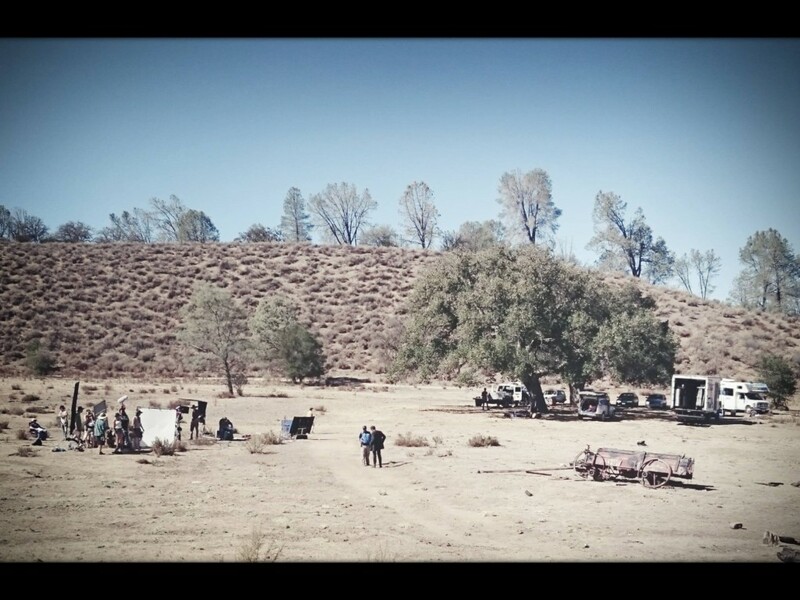 I wrapped shooting on the Scary Cow production Ghost in the Gun on Sunday outside of Hollister, CA. I am so thankful to the amazing cast and crew for an incredibly supportive, collaborative, and enjoyable experience. My co-stars Darren Bridgett and Christopher Weddle are so talented, and working with them was a joy. Andrew Chen, director and creator, has created an incredible piece of art, and I can’t wait to see the final cut in July 2016. I’m so excited to announce my casting in the upcoming independent film Ghost in the Gun, a supernatural Western. I will portray Karolina Krug, a German immigrant making her home in the American West. Filming begins in early September 2015. The script has already won Best Short Screenplay at the Irvine International Film Festival, Winner of The West Field Screenwriting Award Season 6, and a finalist position in the 2014 World Series of Screenwriting. To read more about the project, please visit the Ghost in the Gun website. 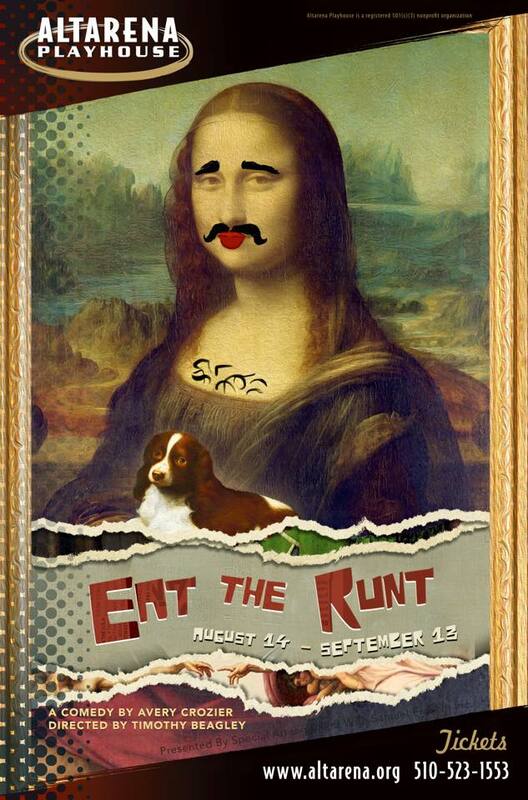 I am thrilled to announce my next project, the Altarena Playhouse production of Avery Crozier’s Eat the Runt. 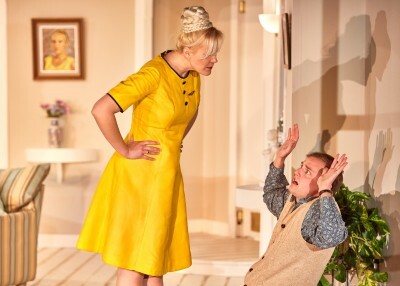 The play has been written without pronouns or gender-specific characters. Each night, the audience will cast the actors in one of eight roles. There are over 40,000 possible combinations, and each actor must learn THE ENTIRE SCRIPT in preparation. Needless to say, my head is running with all of these unique voices and characters! The workplace comedy runs from August 14 through September 14 in Alameda, California. I am so pleased to be featured in this national Shutterfly spot with my real-life husband, John Nelson Rose Check it out 22 seconds in for our section! 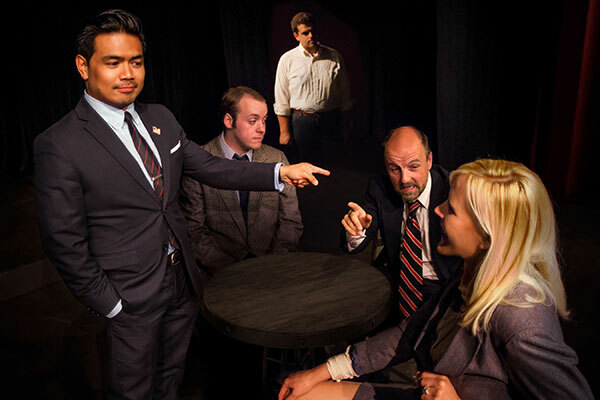 I am currently performing in the Masquers Playhouse production of Farragut North by Beau Willimon, directed by James Nelson. I play Ida Horowicz, a New York Times reporter. Reviewer Sam Hurwitt calls the production, “gripping” and “tautly directed.” He says, “Jayme Catalano has a marvelously playful cat-and-mouse flirtatiousness as a New York Times reporter who’ll stop at nothing to get a hot scoop.” Read the complete review HERE. San Francisco Bay Area Theatre Critics Circle (SFBATCC) member Gary Gonser says, “Catalano is a very flexible actress that handles her character with an iron will to ‘make the grade’ on her stories. She is believable and intimidating enough to force the other campaign people to make decisions that will hurt them. In looking for ‘the truth’ we see that her character is just as much after power as anyone else.” Read the full review HERE. The show runs through June 27. Sam Hurwitt writes that The Women is “a fascinating relic of a bygone era.” He says of the protagonist, “Her friends know Mary’s husband is cheating long before she does, especially catty gossip Sylvia (a delightfully wicked Jayme Catalano)…” Read the review in its entirety HERE.